Home Tags Posts tagged with "forages"
When some forages freeze, changes in their metabolism and composition can be toxic to ruminant livestock, causing prussic acid poisoning and bloat. 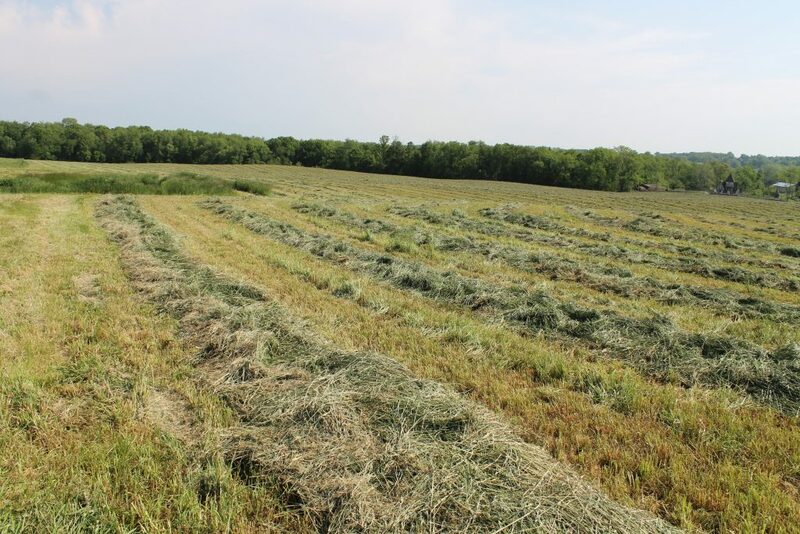 Using livestock to make later cuttings of hay is one of the best opportunities producers have to reduce costs and make more profit year after year. What’s lurking in your forages? Are you scouting your forage crops for disease this fall? This may not be the first item on a producer's to-do list, but it's important. Grazing winter cover crops can provide winter forage for livestock, increase soil biology and organic matter and decrease soil erosion and nutrient runoff. In order to maintain control of your forage system in an uncontrollable world, you need to be good at being both proactive and reactive. Learn to pair forages that progress to maturity at similar times for a more uniform harvest with increased quality and yield. Learn how to adjust your harvesting schedule to increase alfalfa yields without sacrificing quality. Selection criteria for forage crops will need to expand beyond the current focus to encompass environmental impacts of growing, harvesting and storing them. Silage testing is a fundamental tool for the farm to continuously evaluate quality and adjust to feed the best-possible forages.